Designed with convenience in mind, the black oak Plateau LSX-A-41 Enclosed A/V Cabinet has a top shelf that supports up to 250 lb, and three-position inner shelves. 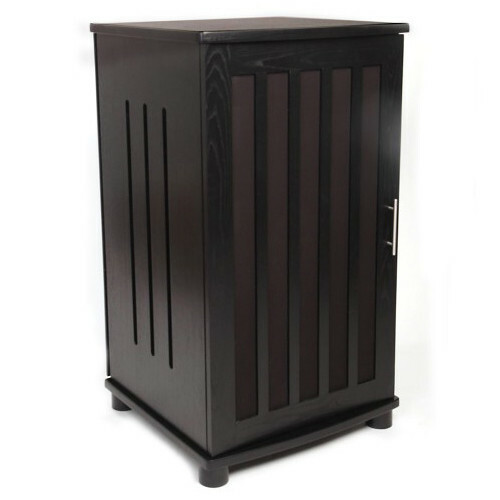 The cabinet features integrated cable management and ventilation in its rear panel. A mesh screen on the front door allows you to use the remote controls for your hidden components. Box Dimensions (LxWxH) 159.0 x 31.0 x 13.8"